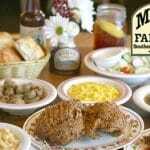 Craving some home cooked Southern fare? 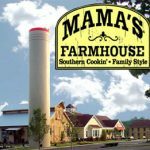 Come see what Mama is cooking today at Mama’s Farmhouse! 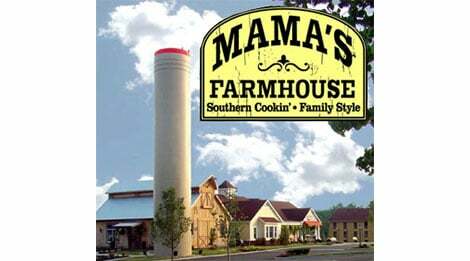 We serve everything Mama is cooking that day to your table, family style. You’ll be passing around big bowls of specialties like Fried Chicken, Chicken Fried Steak, Turkey, Stuffing, plenty of veggies and the best desserts this side of the Smokies. 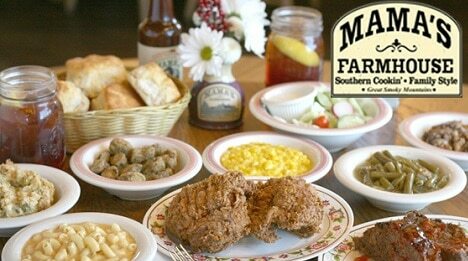 The menu changes each day, so you can come back day and day, guaranteed to have delicious Southern Fair. We serve breakfast, lunch and dinner everyday, and the kids 5 and under eat FREE!